One of the most egregious abuses of the Halachic system is in the area of divorce. A Jewish divorce (Get) is required before any woman can remarry. Without it, any sexual relationship with another man is considered a capital offense (unenforceable today) for both the married woman and her paramour. The offspring of such a union is considered a Mamzer. This is where the concept of Agunah comes in. An Agunah is a woman who cannot marry anyone because she is not sure if her husband is alive or dead. If she were to marry and her first husband were to turn up alive at some point, the children of her second marriage would be Mamzerim. In our day the term Agunah is most often used to describe women whose husbands refuse to grant them a Get. Halacha requires that the only acceptable Get is one that is given by the husband to his wife. Without that happening they remain married to their husbands and thus cannot marry another man. If she does, their children are Mamzerim. This is Halacha. It may not sound fair. But there is nothing anyone can do change the law. It is biblical in nature and cannot be changed. There are some remedies for that that are used by a Beis Din that woman can try. Sometimes they work. But the one thing one cannot do is force the husband to give the Get. A forced divorce (Get Meusah) is not valid. He must give it willingly. The Rambam is famously cited by some Battei Din (plural of Beis Din) to use violence against recalcitrant husbands. The Rambam explains that doing this will not produce a forced Get but will instead get the recalcitrant husband to see the light and do the right thing willingly. Unfortunately this has led to some pretty severe abuses on the other side of the issue. In one very famous case prominent rabbis have hired thugs to kidnap, severely beat, and even torture recalcitrant husbands into giving their wives a Get. But these husbands did not ‘see the light’. They just wanted the torture to stop. Clearly these Gittin (plural of Get) were ‘forced’ and are invalid. Those rabbis were caught by the police in a sting operation and now face prison time. There was one very controversial remedy tried that was tried by the very well meaning Rabbi Emanuel Rackman. He created a court that used a Halachic device called Kedushei Taus (mistaken marriage). In essence Beis Din annuls the marriage (Hafkaus Kiddushin) as though it never happened. The Gemarah allows it to be used in cases when a woman finds out about a major physical defect in her husband after marriage that - had she known about it, she would have never married him. Under these conditions, Beis Din may annul the marriage. Rabbi Emanuel Rackman claimed that an abusive husband falls into that category. Had the wife known beforehand that her husband would be abusive she would have never entered the marriage. The problem is that this method is rejected by every single Major Posek on the grounds that the Gemarah never meant this to be the basis for Kedushei Taus. They all further declared the children of a remarriage would be Mamzerim. 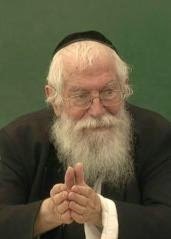 Rabbi Simcha Krauss, who spearheaded the establishment of this beit din and serves as the av beit din, presiding arbitrator received his yadin yadin rabbinical ordination (expertise in halachic family and commercial law) from Rabbi Yitzhak Hutner z”l, Rosh Yeshiva of Yeshiva Chaim Berlin, and served on the St. Louis beit din for many years regarding matters of gittin. Rabbi Warburg (the author) serves as director and a dayan of the beit din and serves as a dayan in the Chassidic, Modern Orthodox and Yeshiva communities in the NY-NJ area, and is the author of a forthcoming work, Rabbinic Authority: The Vision and the Reality, Volume 2, that deals with his beit din rulings. Also serving on the panel is Rabbi Yosef Blau, who presently serves as a dayan for the New York City beit din le’giyur (rabbinical court for conversion) under the aegis of the RCA, and formerly served on the Yeshiva Rabbeinu Yitzhak Elchanan’s beit din and on the Beth Din of America. I did not think that this effort would be taken seriously, despite the impressive credentials of the prime mover of this new Bet Din, until I saw the claim that the Bet Din had the endorsement of a crucial figure – Rabbi Zalman Nechemiah Goldberg שליט"א of Jerusalem. I hereby let it be publicly known that I have absolutely no connection with the International Bet Din for Agunot, and all mentions of my name as if I agree to them are a complete falsehood. I have already written in [the journal] Techumim, which is published annually, that chas veshalom (G-d forbid) one should not use Hafka'at Kiddushin (retroactive annulment) to allow a married woman to remarry, as it will cause, chas veshalom, her [subsequent] children to be mamzerim. The same applies to the other methods which have been mentioned in regard to the new Bet Din. One should be very cautious and stay far from this Bet Din, who [by their statements] are suspect in every way. It is incorrect to use them, and even a regular Get that they issue is suspect that it was done improperly. Whosoever can protest [this Bet Din] and nullify their plans should do so, and may they be blessed for this. There are other questions raised in my mind that are cause for concern, not the least of which is a promise to free nearly 100% of all Agunos that apply. This is yet another sad chapter in the saga of ‘chained women’. I do not wish to see Agunos tormented like this. I sympathize with motives of the people on this Beis Din. I believe they are all good people acting with the best intentions and concern for Agunos. I would have loved to see them fulfill their mission to free nearly 100% of all Agunos. That would have been a breathtaking breakthrough. But it appears that this is just a new version of the old Rackman court. And instead of solving the plight of Agunos they may just be adding to it. To be absolutely clear, I do not in any way believe that those rabbis involved with this Beis Din are anything but the most honorable members of the Orthodox rabbinate. I know one of them fairly well, and he is as honorable as they come. A man of great integrity as I'm sure the others are. But I have to wonder. When the Jewish Week published an endorsement (of sorts) of the Beis Din by Rav Goldberg which - as has been suggested by some - is not true, why was this not immediately corrected by its members?